The Contour Bedroom Set is a chic and stylish set of Mid-Century Modern design. Crafted in sustainably sourced, American hardwoods, the Contour is elegance built to last. Haiku’s Contour Bedroom Set, by Copeland Furniture, is a sleek and stylish set of classic Mid-Century Modern design. The Contour Bed, shown in Soaped Ash and Natural Walnut, is crafted in sustainably sourced, solid Walnut with a natural finish as well as solid Ash in a variety of finishes. 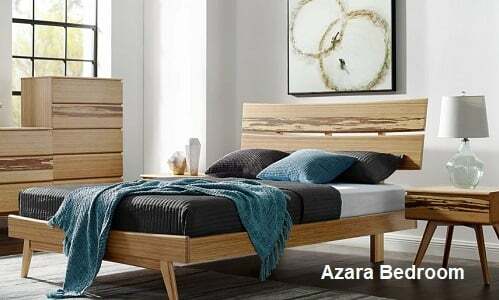 Allow yourself the tranquility and serenity of sleeping on the eco-friendly, beautifully constructed Contour Bedroom Set by Copeland Furniture. 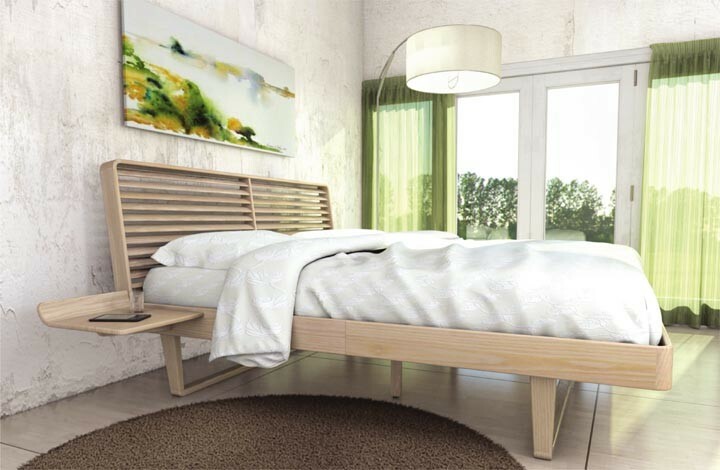 The Contour Bed is crafted in sustainably sourced, solid American hardwoods and is available in Ash and Walnut. The Contour Bed features a modern slat system which eliminates the need for a box spring and allows for continuous ventilation of your mattress. 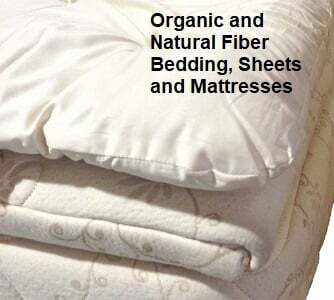 This helps to reduce moisture buildup, allergens, and dust mites. Additionally the Contour Bed can be ordered with shelves that attach to the bed frame. Choose from one or two shelves (right or left, or no shelves. The Contour Nightstand provides a solid top/shelf to hold a lamp, alarm clock, or your current captivating read. 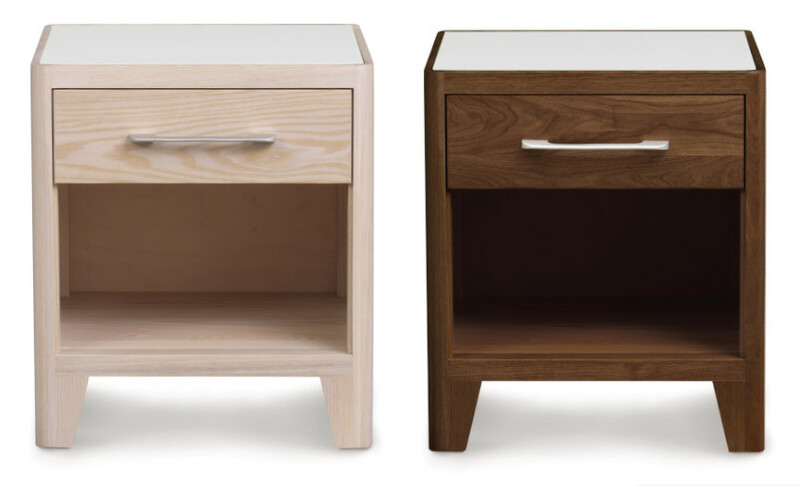 The Contour Nightstand features a spacious drawer for all your bedside storage needs. The Contour Chests come in an array of sizes to perfectly suit your needs. 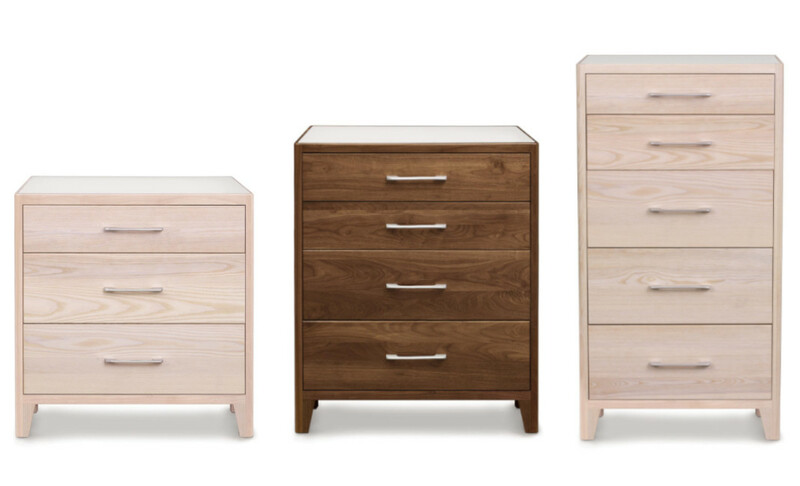 Like all the Contour cases, the chests feature smooth-glide drawers and are available in a wide range of wood and finish options. The Contour Dressers, and all furniture by Copeland, is paramount craftsmanship. Made to order by American artisans, these masterful pieces are finished with a Greenguard Certified finish for low chemical emissions, meaning you can rest easy knowing that your furniture is not off-gassing toxins into your home.